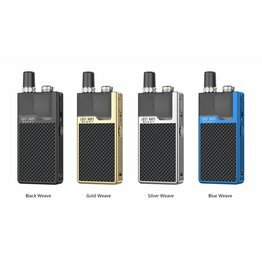 Lost Vape Quest Orion Q Kit available in 4 colours - Black, Blue, Gold & Stainless Steel. - Compatible with standard nicotine e-juice and nicotine salt. - 950mAh built-in LiPo battery.